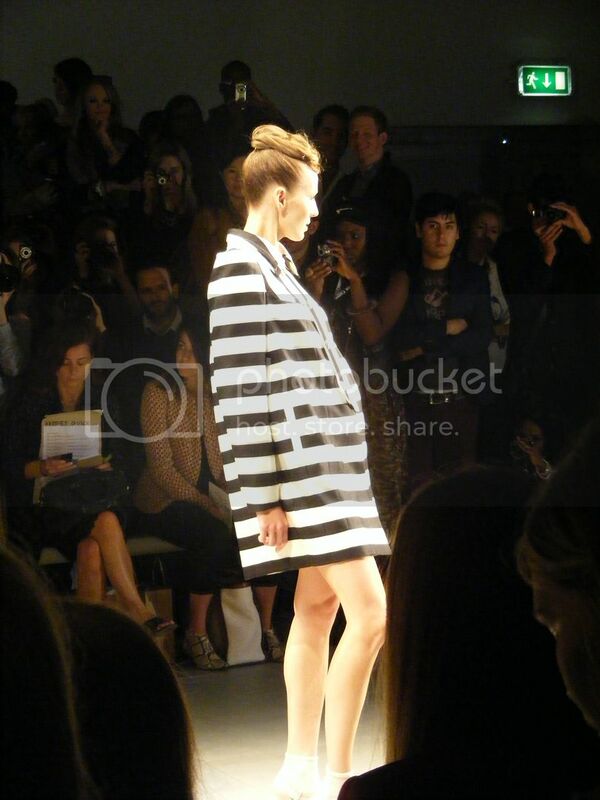 So, I've had a busy few days running around at Fashion Week. 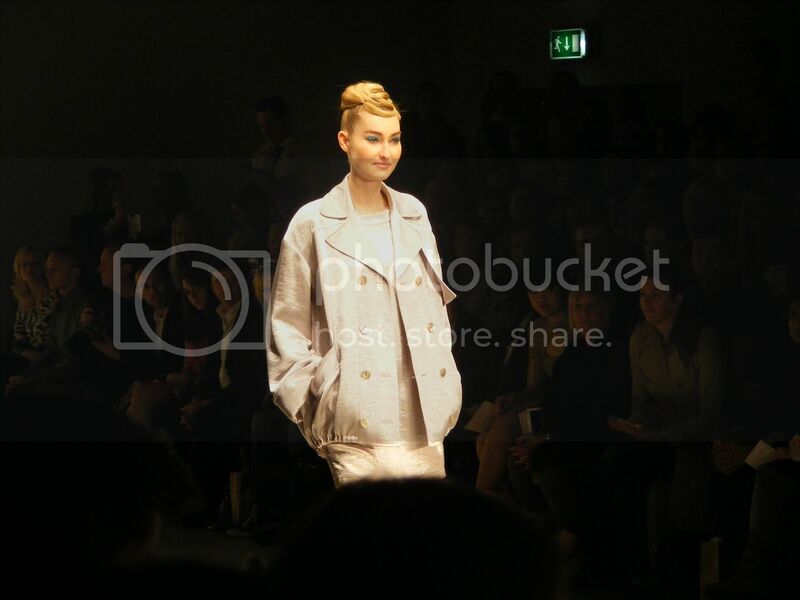 On Thursday night, Toni and Guy invited me along to their first ever Fashion Show at Somerset House, and it was definitely a great way to open Fashion Week. 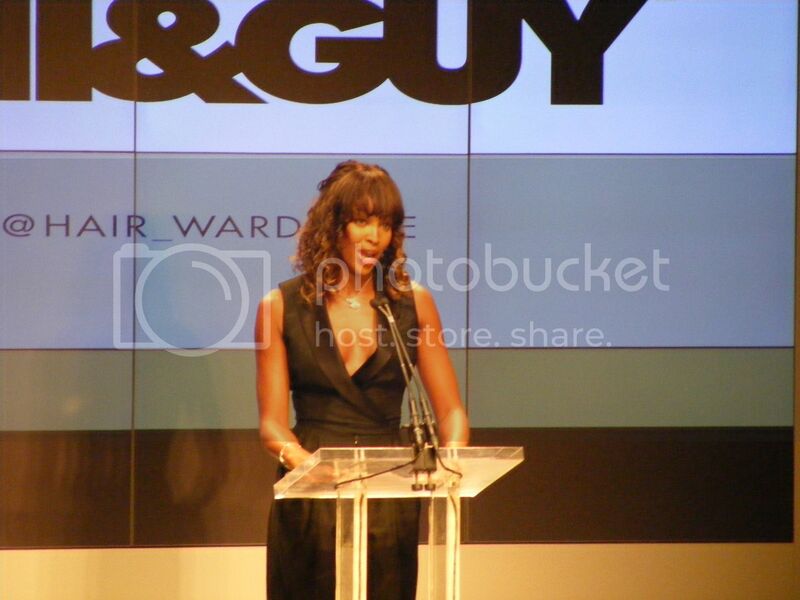 It was hosted by Naomi Campbell, and I also spotted Olivia Palmero, Laura Whitmore and Matthew Williamson on the front row. 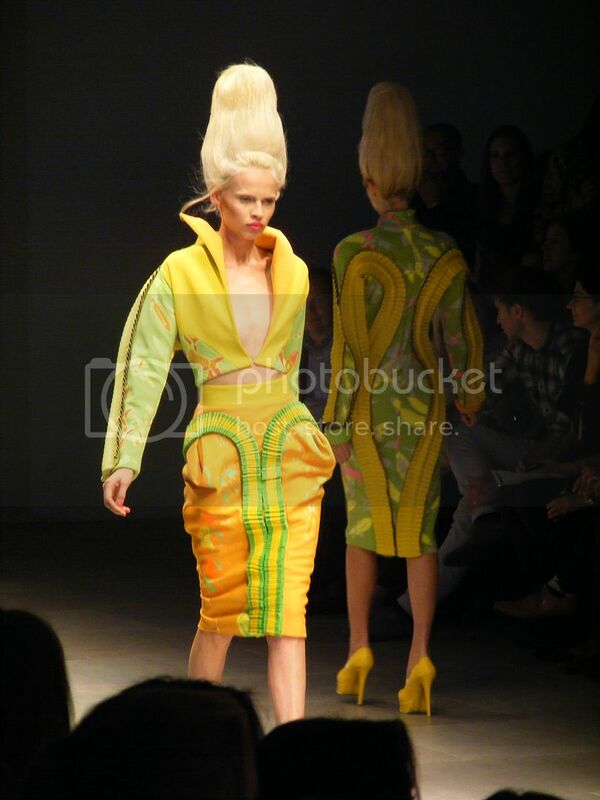 The show itself was fantastic and the hair was spectacular. My pictures weren't that great and definitely don't do the clothes justice. I also fell in love with ALL of Paul Costelloes 6 sons. They're gorgeous and all seemed so nice. They were around before and after the show, talking to people and making sure everything was running smoothly. 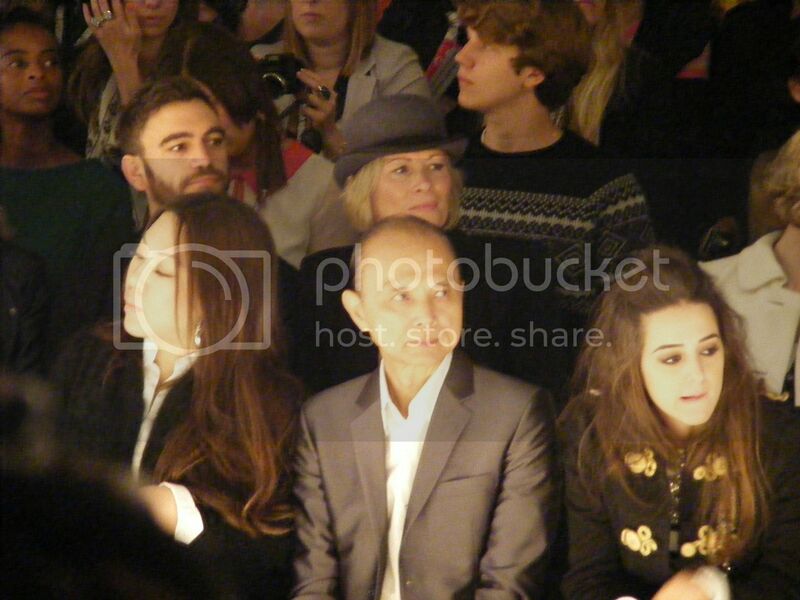 It was great to see such a strong family presence there. As I was coming out of the show, guess who I literally bumped into: Boris Johnson. Yup the Mayor of London. I followed him for a while, until I could take proper pictures. 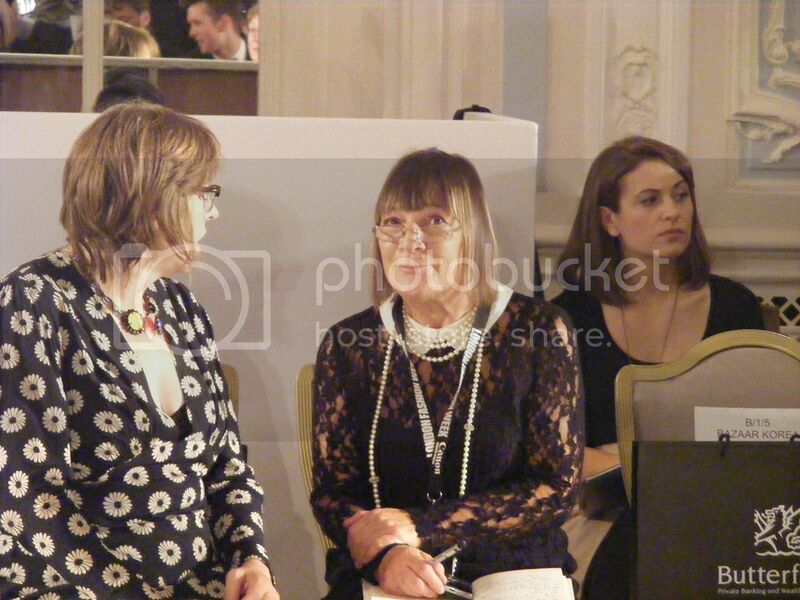 After spending a few hours hanging with more of my blogger friends, I went over to the Savoy, where ghd had kindly invited me to hang out backstage before the Mary Grachvogel show. 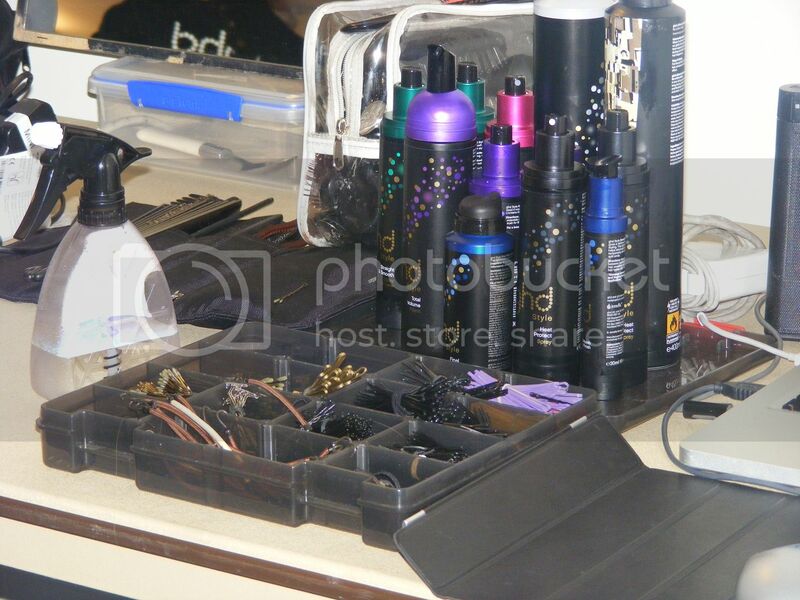 The atmosphere backstage was so relaxed and it was great seeing how the hair and make up were done. I also bumped into ghd Creative Director, Kenna, and had a total fangirl moment while talking to him. The hair was amazing. They had a zigzag parting, and the front hair was pinned to the back. 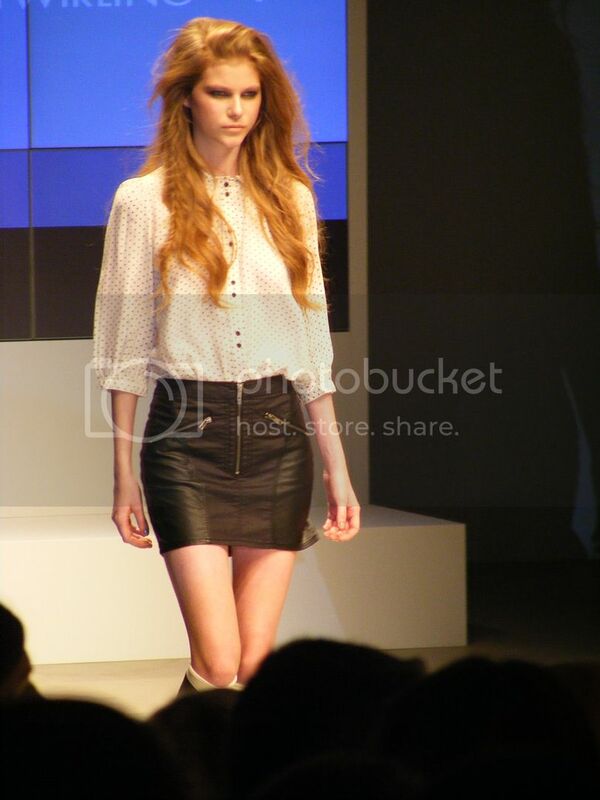 Then they had a low ponytail, held together with a leather strap wrapped around. The show itself was beautiful. 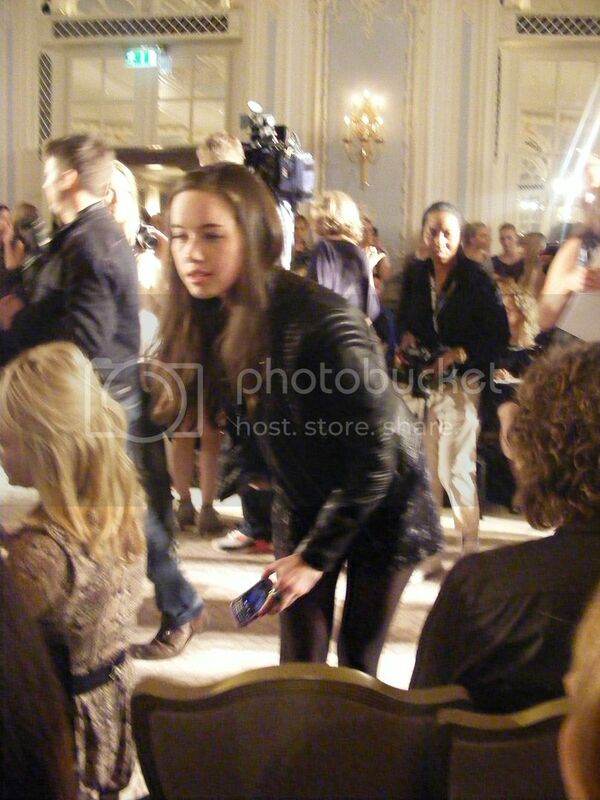 Both Hilary Alexander and Anna Popplewell were front row, looking amazing. 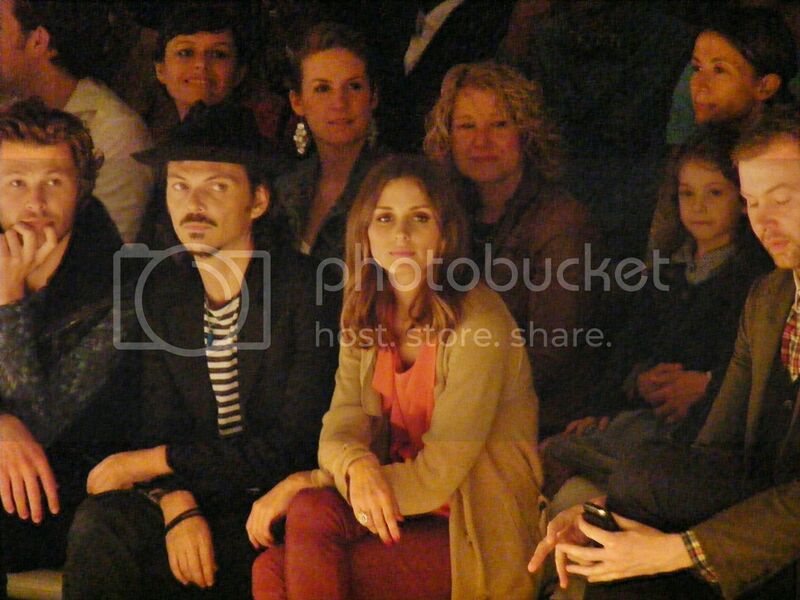 I was in the second row, sitting next to renowned hat designer: Tracy Rose. I struck up a conversation and she's absolutely amazing. 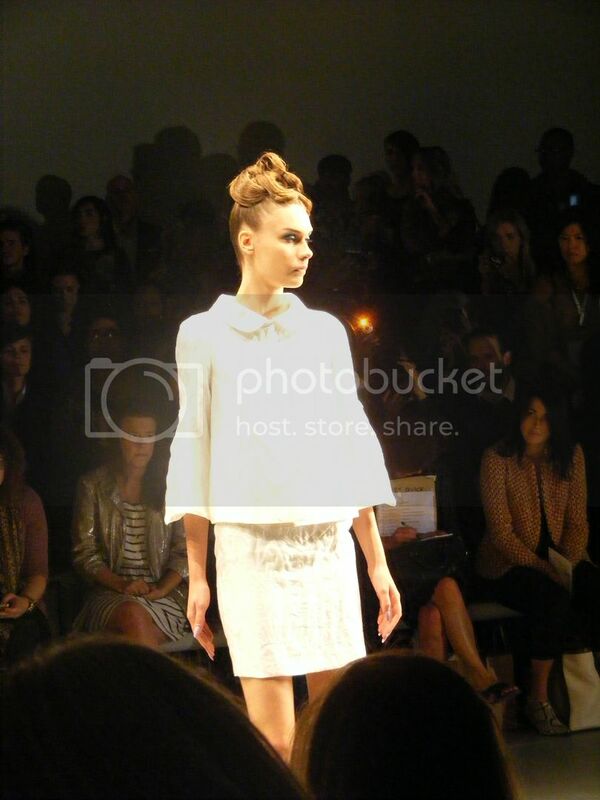 I'm definitely going to be writing about her designs in the future. The clothes were great and contained a lot of really beautiful bright colours and drapy materials. I went in for a free MAC makeover that they provide to press (although, bloggers this were were 'downgraded' from Press). I wasn't a fan of my makeover last season, but absolutely loved it this season. I went for a more glamorous look and loved the red lipstick. It's 'Russian Red', and came in the goody bag as well, so can't wait to try it myself. More on what I've been upto in a few days! Love it! Sounds like you're having so much fun! Can't wait to hear more about it! beautiful photos, sounded like so much fun! can't believe you snap a photo of Olivia Palermo! I just came across your blog, you're very fashionable. 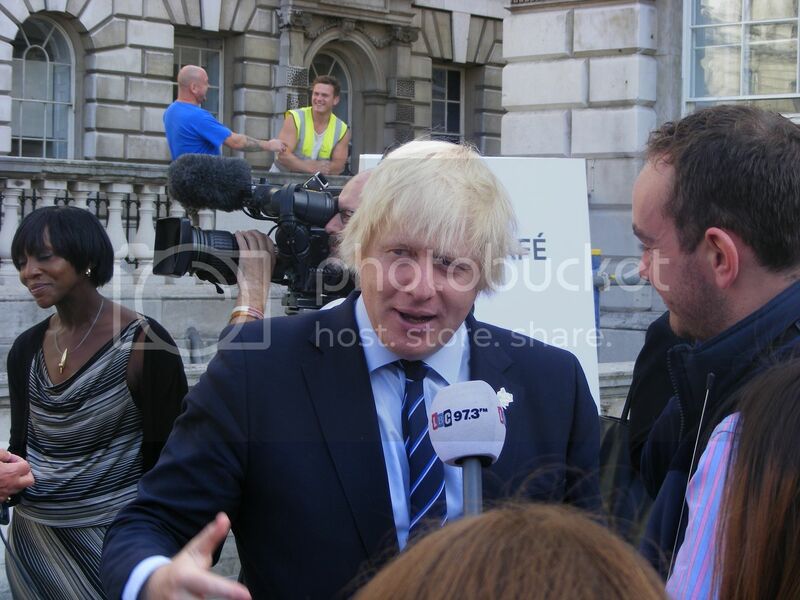 Sherin you're such a superstar hanging out with Boris and whatnot! 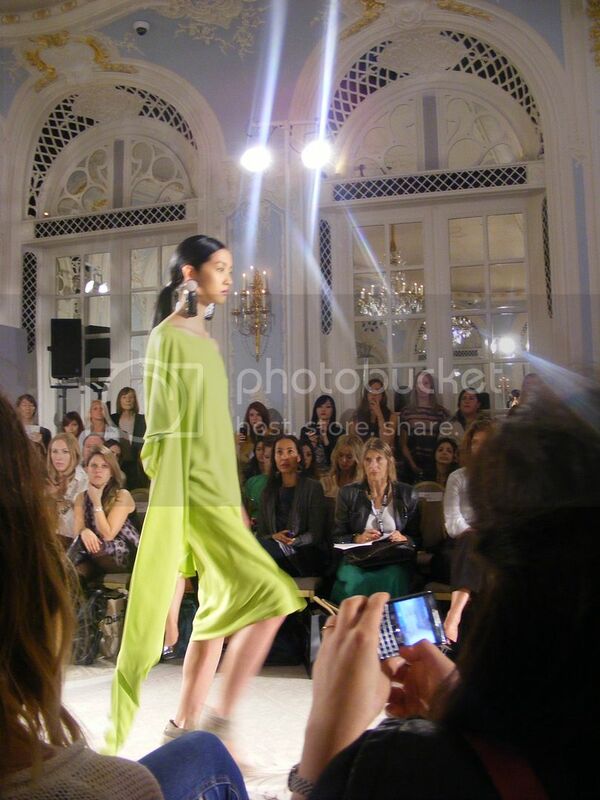 :) Haha, I love the LFW updates, keep them coming! Good to hear it was a fun event. There are lots of great photos and lovely items here. You look so lovely. 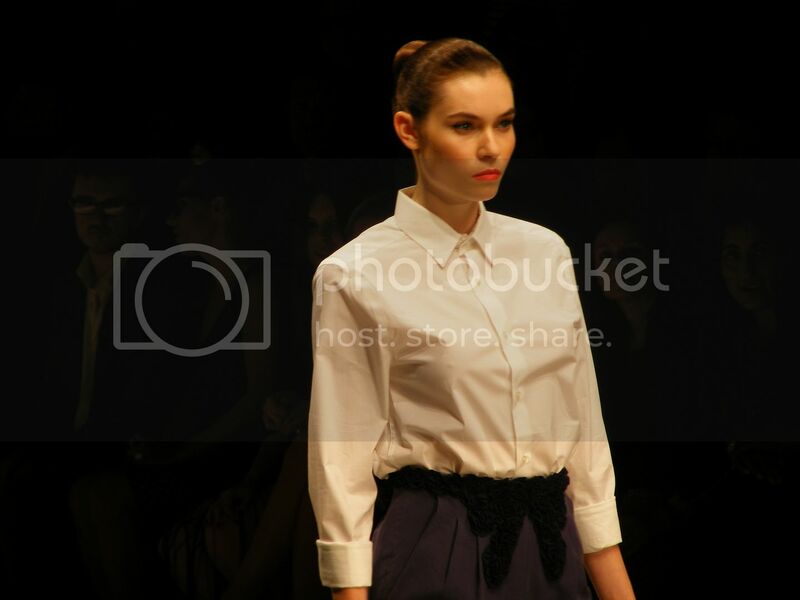 I cannot wait until I go to my first fashion show! It will happen one day! You always look like you have so much fun! (Sorry if that sounded scary). (But it's true). So jealous that you're there! How fun! 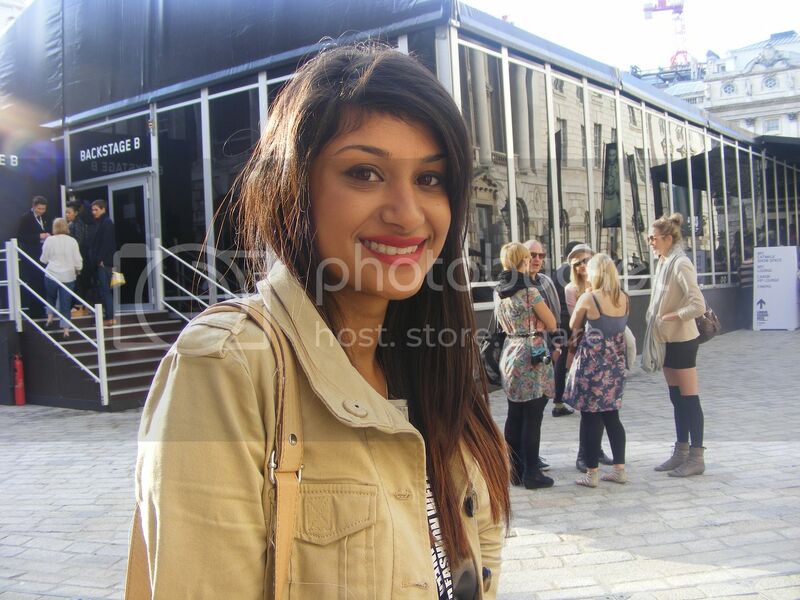 You look so pretty wearing that red lipstick, Sherin! Su h an a,zing time for you so far! Lucky duck! SO MUCH FUNNN!!! You have the best benefits Sherin! I am so incredibly jealous of all of the fun you girls have been having at fashion week, we have nothing like that here and I know that practically speaking, I would never be able to make it to all the events, but a girl can dream, right? I'm glad I can at least live through your posts- the backstage photos look particularly fabulous! Looks like such an amazing time! And your makeup looks gorgeous!